A little flash magic with some milk and a pipet. I did a long series of these, using a variety of liquids. 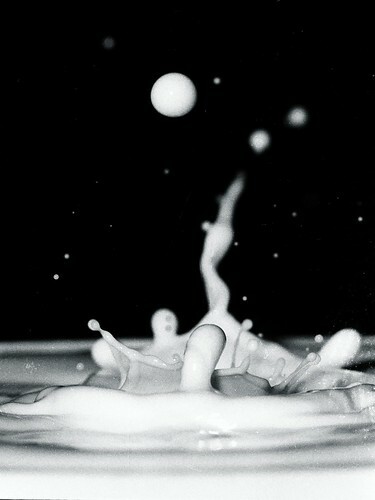 Milk works well because it's opaque, but it's also pretty easy to overexpose with the flash. I've tinkered with this image quite a bit in the GIMP trying to improve it.